Carries Candies has fun candy reviews, games, trivia, jokes, recipes, activities and other fun stuff for kids and anyone who loves candy! Check out our Cool kids online games! Be sure to join our CANDY CLUB to get your membership card, decoder and access to extra games and other fun activities! Happy 4th of July! Go see a parade and then some fireworks! - for Fourth of July ideas go here! Please check out our Printable FunPacks! We can put together special candy presents for you! Great for: birthdays, anniversarys, first communions, bar mitzvahs, etc., or just "cheer up" gifts! Reese's Pieces have been selling a lot lately. Why? Checkout our Candy and Logo Stores with lots of candy, expert Reviews and logo wear! We have a lot of fun with this site and hope that you'll find something here that you like. Please don't hesitate to contact us if you have questions. Thanks again for visiting Carrie's Candies! Please tell your friends about us! It's hard to tell them our name sometimes so we have tried to have other names point to us too! 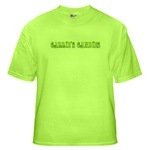 Our website is www.carriescandies.com. However, when searching you should also be able to find us with carries candies, candy shark, caries candies, caries candy, caris candies, caris candy, carries candy, carrys candies, carrys candy, carys candies, carys candy, karies candies, karies candy, karis candies, karis candy, karries candies, karries candy, karys candies, and karys candy. and www.karyscandy.com. That’s crazy huh! - Check out the hilarious candy jokes! - Our candy games are a blast! - Do you know your TV shows! - Cool kids candy drawings! - Printoff mazes, puzzles, etc! AJVRYAZJYW WHX... IJX OMJ SZNPW ZV ESHWW MJYWP WMJYSQ AMHVEP ASJKMPW ZV IHWPDPVK ! Get the secret message decoder! Print out members only FunPacks! Be eligible for contests and prizes! Receive our newsletter with candy updates! To join, type your email address above (or your Mom's email address if you don't have one!) and press Go! Pay any way you want!